So lately I've been doing a lot of crocheting. Like, a lot. I don't know why. Because it's easier to explain than "What are you writing?" BUT...but I was hit by inspiration. Sort of. This idea had been hanging around for a while now. I think I was afraid of writing it for some reason. Finally I decided just to write it. I figured it would be a short story at best. It's been a while since I've written anything short, though. Which is good and I think it shows how I've become a better writer. However, since I still believe in handwriting everything, I have no idea how long it actually is. I don't think it's novel length as is. Once I type it out and go back through it, I could probably make it longer. Which is exciting. But the point of this post...the point is THAT I FINISHED SOMETHING!! Even when I'm crocheting, a lot of times, I get to a point where I get bored. Especially if it's a big project, like a blanket. 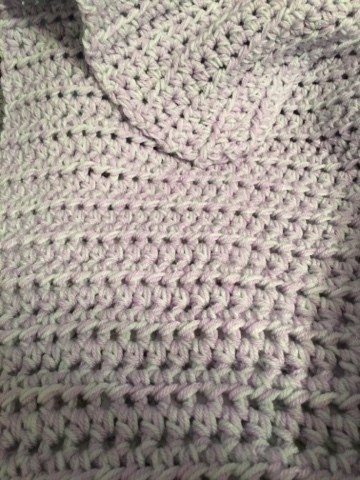 Around the beginning of the year, though, I made myself a blanket. And I finished it. It worked up quicker than I expected and it was great. I felt so accomplished and now I sleep with it every night (it's big enough to cover me...not like blankie size...I don't sleep with a blankie). I think that helped me realize that I COULD FINISH ANYTHING. It just takes time. 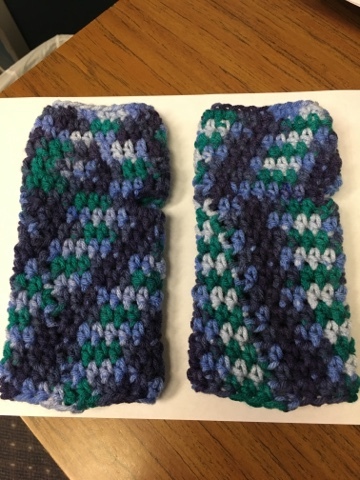 And I might get bored at some point, but it's okay to put it down for a while and work on something else (I made several scarves and fingerless gloves for my daycare provider and her daughters). The point is not to let it go completely. 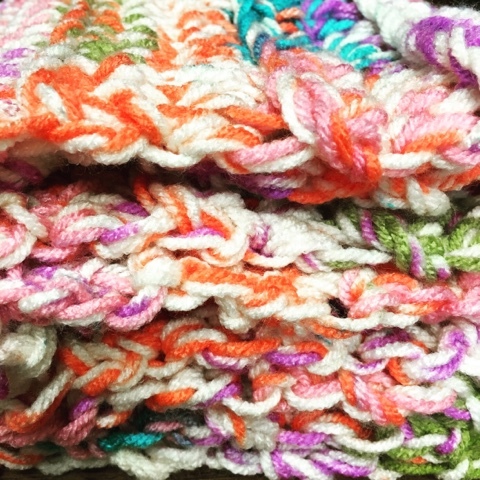 So I've been knocking out all kinds of crochet projects. And I finished a story. It's been a while since I finished a story of any length. And it feels great.